It’s here! It’s here! 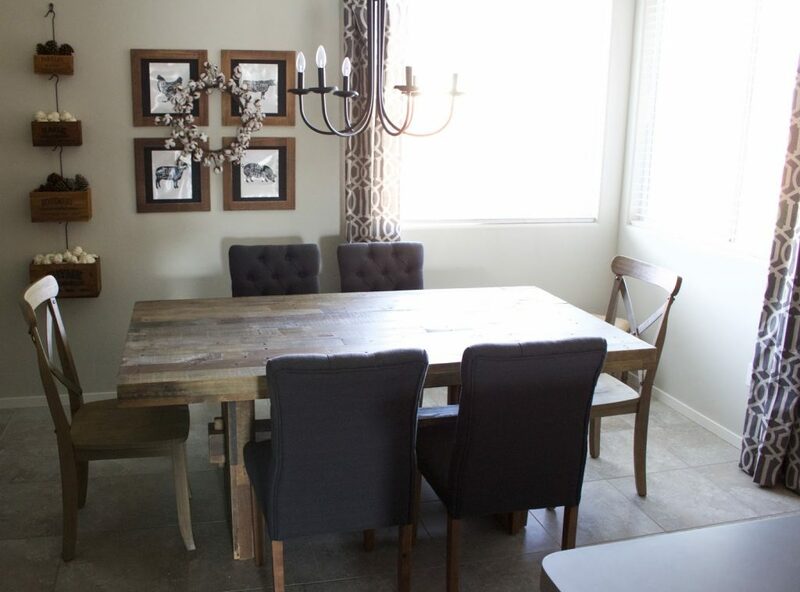 My new Emmerson Reclaimed Wood dining table from West Elm arrived last week and I absolutely love it. I first shared this table in my new dining room design and I am so glad I took the plunge and purchased it. It is perfectly imperfect and everything I imagined it would be. There are still a lot of updates to do in this room before it will be done, but this table is the first step. In the next few weeks, I’m hoping I can get the shiplap installed and painted. I will also be selling or donating my dining shelves and a lot of my accessories. I’m craving simple design these days and I have way too much stuff. I’m still searching for the perfect rug and might switch out the curtains. I will also be hanging some new art on the walls or might move my farmhouse rack over to the space. Again, craving more simplicity. I couldn’t resist creating a cute and simple fall tablescape as I was putting my pumpkins away and preparing for Christmas decor. I see many tablescapes in my future. What do you think about my new table? Is there a piece of furniture in your home that you splurged on? Share with me! 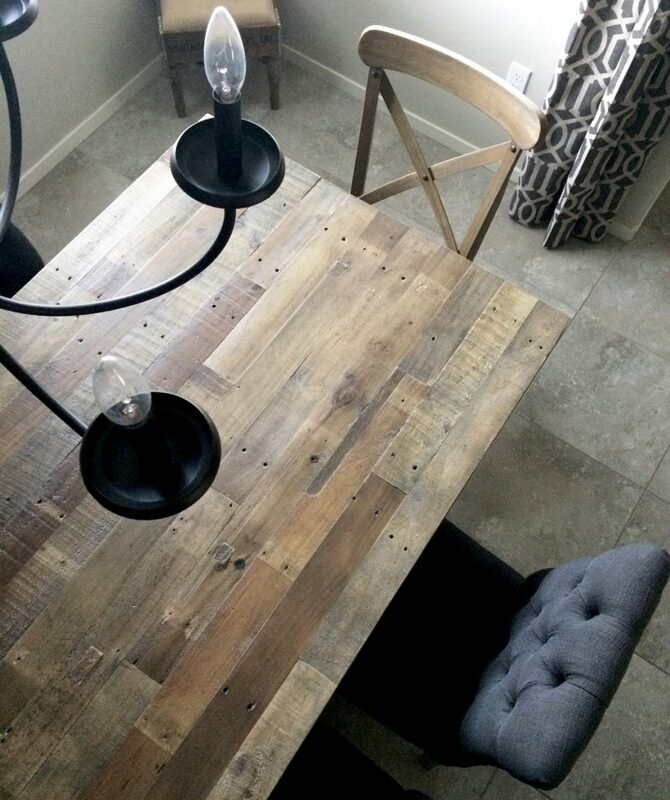 Love the wood grain….perfectly rustic! Gorgeous! 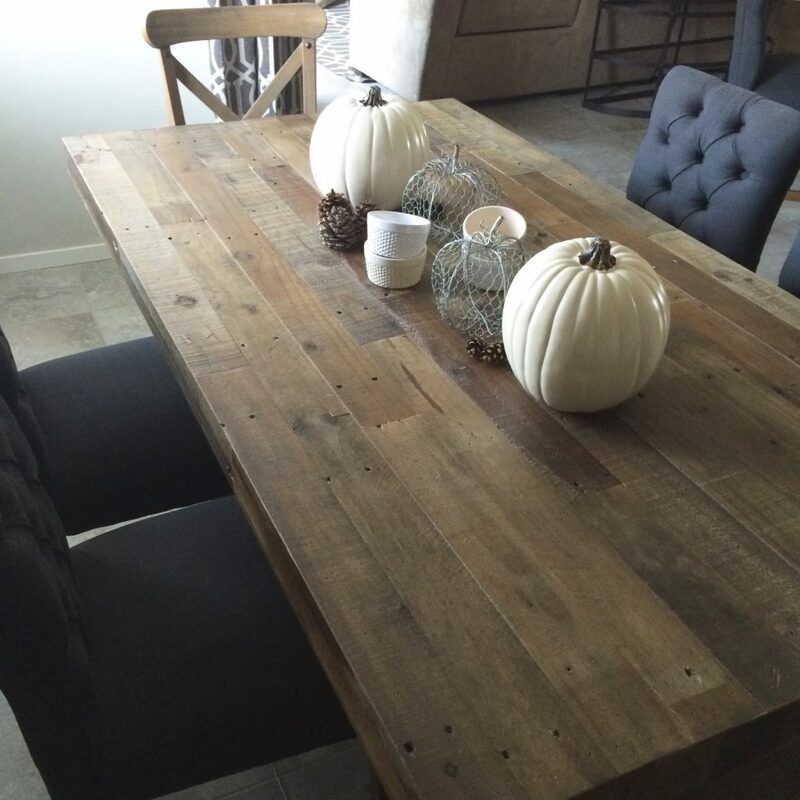 I love this table and cannot wait to see your Christmas centerpiece! Thank you! It'll be up soon!! Nice DINING TABLE, i want by it. And i am like this DINING TABLE. Thanks to share it. I have been eyeing this table for awhile now. Can I ask you what size you purchased?